PADNOS | Scrapping Your Cars, Trucks or Other Vehicles PADNOS | Scrapping Cars or Other Vehicles? 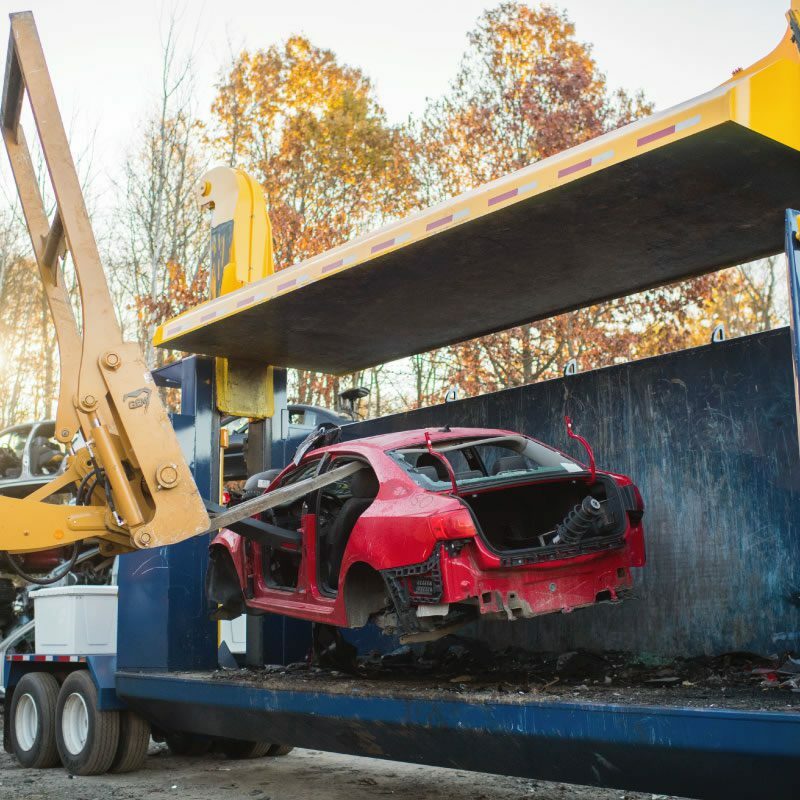 Ready to turn that junk car into cash? The PADNOS location(s) listed below can accept cars, trucks, boats, trailers and other vehicles, including those containing fluids and oils, with tires still attached. Be sure to have your valid driver’s license or other photo ID with you so you can be paid in cash via our ATM. PADNOS is known for providing fair, competitive prices. Scale prices change daily, however, depending on the market dynamics of specific metals. For current pricing information, contact the nearest location or call us at 800.442.3509. You must bring a valid vehicle title that has been signed off. Tires may be removed in the yard (added charges could apply for fluid removal). To be considered clean, rims must be free of wheel weights, valve stems, center caps and steel inserts.